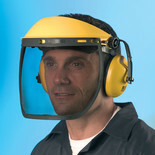 A full face visor with a quick adjust headband for added comfort. 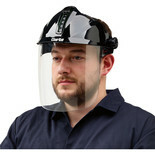 This unit conforms to EN166 for ensured reliability. 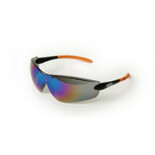 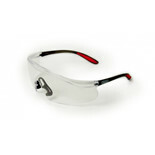 Eye impact protection with polycarbonate lenses, direct ventilation soft frame and adjustable strap for a secure, comfortable fit. 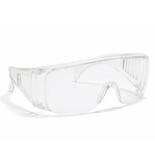 Blackrock’s clear safety spectacles provide a stylish, comfortable protective solution, when used in industries with potential projectile, chemical or radiation hazards. 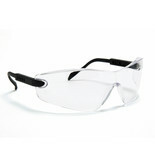 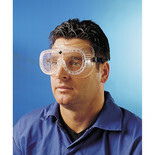 Blackrock’s over spectacles are designed to be worn over prescription glasses to protect eyes when working in workplaces with potential projectile, chemical or radiation hazards. 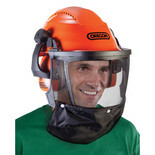 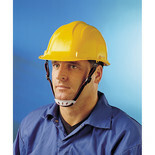 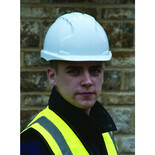 Statutory head protection for building and construction sites and similar hazardous areas. 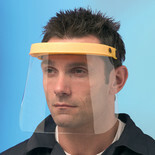 This lightweight, comfortable-to-wear screen offers full brow to chin face protection. 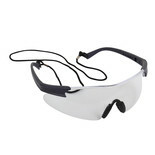 An ideal piece of P.P.E. 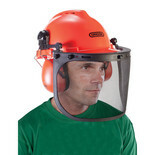 to wear when using power tools, wood working machinery and powered garden equipment. 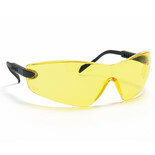 Blackrock’s yellow safety spectacles provide a stylish, comfortable protective solution, when used in industries with potential projectile, chemical or radiation hazards.